Join Microsoft Senior Premier Field Engineer Jacques Guibert de Bruet for a breakdown of Azure MFA. We’ll learn when to allow, block, restrict or require MFA when accessing services and how to use Azure-specific methods for supplemental authentication. Jacques is a local Senior Premiere Field Engineer at Microsoft, specializing in identity and security. He also has extensive experience in Azure technologies and hybrid implementations. Join Russell Patrick of HMB as he shows us Microsoft Flow, a cloud-based software that allows employees to create/automate workflows and tasks across multiple applications and services. In this talk we will talk about what Flow is, how to use it and the benefits of it. We will also apply it to some common use case scenarios. Lunch will be provided! Russell is a Senior SharePoint Consultant at HMB. Having worked in SharePoint for seven years in three different capacities, Russell can answer almost everything on the topic. He is also involved with LouMUG, and wishes to bring SharePoint Saturdays back to the ‘Ville in the future. Yes, we’ll talk about Google Fiber. Jason Hulsewede is a Partner with Virtual Telecomm and has been in the Technology Industry since 2003. Jason is a graduate of the University of Louisville and lives in Louisville with his wife Kate and two children, Holland and Buck. Mark White founded Virtual Telecomm in 2004 and is a pioneer in the technology space with building and leading a team to support complex technology solutions. Virtual Telecomm is leading the way with helping clients design and deploy SD-WAN, UCaaS and security solutions that meet the demands of Corporate networks for voice, data and security. Windows Admin Center is FREE to use. Let’s look at it! Windows Admin Center (WAC) comes free with Windows Server and allows you vast visibility and control over your environment. This HTML5-based UI can be set up in minutes and can manage a wide variety of servers, roles, and functions. There are new releases every six months, and paired with an extensible API, WAC is always going to be getting new features. We’re going to tempt fate and demo it live, so come wish us luck! Brent Earls is the Chief Technology Officer at Mirazon, a local IT consulting services company. Brent has been with Mirazon for 12 years and has his MCSE, MCITP, VCP and VCAP. He has a degree in information systems from the University of Louisville. Windows Server 2019 is here! Let’s talk about it. How time flies. It seems like just yesterday we were going over Windows Server 2016. Well, the 2019 version is out now and it’s got some changes! Brent Earls is the Chief Technology Officer at Mirazon, a local IT consulting services company. Brent has been with Mirazon for 11 years and has his MCSE, MCITP, VCP and VCAP. He has a degree in information systems from the University of Louisville. The hard part of the cloud is not the technology planning or implementation. The hard part of the cloud is ongoing meta-layer management of the services running in or on top of the cloud. Order of magnitude harder than the ongoing management of the cloud is the integration of “cloud operations” with the existing operations of the rest of the portfolio. Read more about the strategic opportunity of cloud operations integration here. Monitoring—how will the end-user-experience be monitored, and how will that monitoring integrate into the existing investments in tooling and processes that support the rest of the portfolio? Major Incident Management—using the Monitoring scenarios as one of the inputs, what are the specific Major Incident Scenarios and workflows that need to be addressed within the existing company-wide Major Incident Management workflows? Backend Services—what are the inputs for information, how should they be triaged, how should they be driven to a) avoid impact and b) report measurable business value? Clients—what are the release cadences for Windows Clients and Office Clients (Pro Plus), and how should those be managed within the context of the existing change, release and client build management processes and workflows? This LouMUG session will cover the most critical points of each of the four bullets above. Carroll Moon is the Co-Founder and CTO of CloudFit Software, a Microsoft Preferred Supplier and Microsoft Gold Partner that provides managed services to Microsoft’s Product Groups, including the Office 365 Product Group. Beyond Microsoft’s Product Groups, CloudFit Software delivers Managed Digital Transformation allowing enterprises to have greater velocity to value with their Digital Transformation initiatives, including their cloud initiatives. Prior to CloudFit, Carroll spent 17 ½ years at Microsoft including 10 years leading Service Management for Office 365. While at Microsoft, Carroll led the engineering teams for Office 365’s internal tooling, internal monitoring, and customer-facing service management features including dashboards and APIs. Carroll also spent 4 years in Microsoft Services innovating with Microsoft’s largest enterprise customers to help them move more quickly to the cloud with laser focus on the business and successful run-state. Carroll lives in Lynchburg, Virginia with his wife and two children. Add more predictability in your life with Microsoft’s Power BI and Azure Machine Learning Studio. John Ecken of Tandem Solution will discuss and demonstrate how organizations can use the Microsoft Power BI and Azure Machine Learning to get valuable insights into data. He will look at how the products can be used together to build powerful data models, analytics and reports at a price point even small businesses can afford. As VP of Finance and Technology and one of three business owners of Tandem Solution, John Ecken has spent the last 20 years as an instructor and consultant in the IT and Professional Development training industry. With a passion for technology, security, application design, and development, John Ecken has constructed customized classes and spent countless hours delivering curriculum in the classroom. In addition to holding various industry certifications, he brings to the table a wealth of programming knowledge and software implementation experience. Alongside his classroom duties, Ecken ensures that the technical operations of Tandem Solution run smoothly and that a high level of satisfaction for all Tandem customers is maintained. Join us on Friday, September 28 to learn about Azure AD! As mobility and cloud transform how we work, how we manage identity has to keep up. Join Jeremy Gray, Cloud Solution Architect with Microsoft as he guides us through Azure Active Directory and how to make it work for you. I’ve spent a long time working with business partners across the healthcare, credit card, payroll, and commodities trading spaces implementing technology solutions that drive business outcomes. During these projects, I’ve had the privilege to work with a lot of high-performing and multidisciplinary teams and have seen how they succeed and fail. I love how the cloud has changed the way we work and am excited to see what amazing new technology the future brings. When I’m not building things at work I enjoy making things on my 3D printer and laser cutter, along with making some sawdust in the garage. My wife and I live in Louisville, Kentucky with our three children. Time for Teams! Join us on Friday, August 31 to learn about Microsoft Teams! Whether you need to coauthor and collaborate on documents, communicate through chat and meetings, make and receive calls, or integrate with hundreds of native and 3rd party apps, Microsoft Teams is your complete hub for Teamwork and productivity. Ben Powell is a Technical Specialist at Microsoft, focusing in the voice, video and collaboration space. He has spent the past 12 years working in the UC and conferencing space, including Microsoft, Tandberg, Cisco, and Polycom. He is a Louisville local, but is originally from the Washington DC area. Daryl Hunter serves as a Voice Solution Architect – also known as “the phone guy” – for the North American Marketing & Business Development team. Daryl has been with AudioCodes since 2017 and carries a couple decades of enterprise voice, communications, and collaboration experience into his role. Prior to joining the AudioCodes team, Daryl spent many years leading and growing technical teams around Unified Communications and Software Defined Voice Networking. We are joining forces with the Louisville Microsoft Users Group to talk about something that’ll make all our lives easier. Are you looking for an Office 365 administration tool to automate repetitive tasks? Or are you looking to access additional capabilities not available in the Admin Center? Join Composable Systems’ co-founder Jeremy Sublett as he shows you how to administer and automate Office 365 with PowerShell and the Patterns and Practices library. Managing your SharePoint Online tenant. Jeremy has over 20 years of extensive knowledge in the software architecture and development. Jeremy is a managing partner at Composable Systems, a custom software firm with such honors as Louisville Fast 50, Best Places to Work in Kentucky, and Inc. 5000. 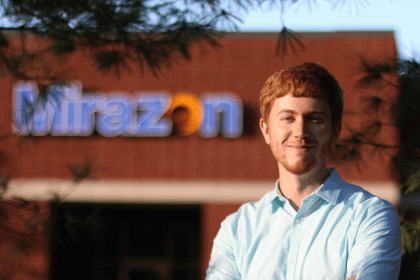 Jeremy has enjoyed serving the community for many years by speaking for technology community groups and events throughout Kentucky, Indiana, Ohio, Michigan, and Tennessee. While not working, he spends time with his two boys, and enjoys mountain biking and aviation.